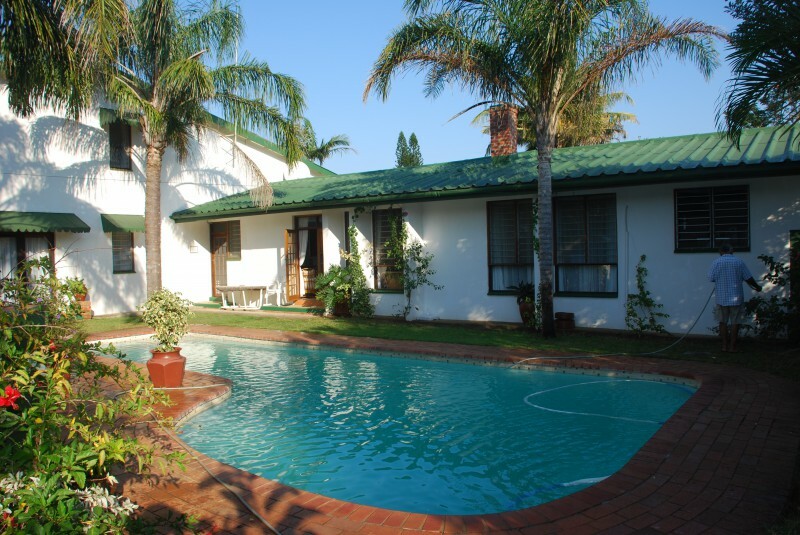 Igwalagwala Guest House is situated in the iSimangaliso Weland Park, a World Heritage Site and we offer the best of both bush and beach experiences in a safe, relaxed environment. The iMfolozi and Hluhluwe game reserves are just a short drive away and when not relxing on the beach or checking out the hippos and crocs in the estuary, a trip to see the "Big Five" is a must. Igwalagwala Guest House is a spacious establishment with five large en-suite bedrooms, double, triple and family. We sleep 15 people comfortably. Our breakfasts are famous, as are Bruce's braais (on request). Owner run by Glynis and Bruce, we strive to make you feel at home iin this beautiful part of the world. We book all activities for you at no extra booking fee to yourselves. Relax in the boma or tropical garden or swim in our huge sparkling pool. The guest lounge is there for you to enjoy, just reading, watching TV or simply "parking off" at leisure.